A familiar silhouette with original comfort and construction is what you get with the Vans Ultrarange 3D. 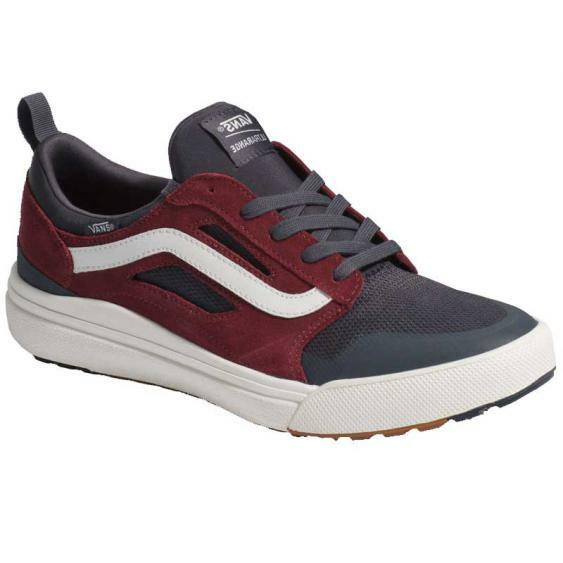 This shoe is athlete inspired and made from a combo of breathable textile, suede and mesh. This Vans features LuxLiner sock fit construction with seamless internals to reduce weight. The improved UltraCush Lite 3D midsole offers everyone maximum comfort and it even takes comfort to the next level with the new UltraCush Lite 3D outsole with waffle lug traction. You'll be walking in the clouds with Vans Ultrarange 3D.